Andy Roddick just wants you to have a good time. 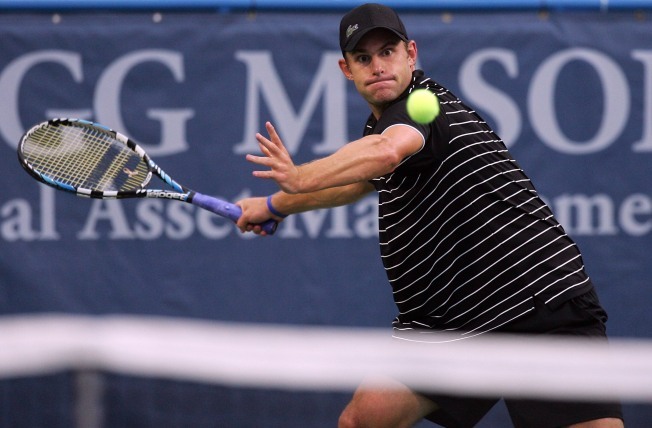 Andy Roddick is holding a giveaway of 150 tickets to tonight's installment of the Legg Mason tennis tournament, reports TennisX.com. Expect it to all go down at 11 a.m. today at the Georgetown Lacoste store (3146 M St. N.W.). ok so 150 tix up for grabs for wednesday pm match... 11am georgetown lacoste store... my buddy dillon with have tix and wear a lime green shirt. So while it's valuable to know that Dillon has laundry issues, the heart of the matter is that (le sigh) the giveaway is only open to those who had purchased a ticket for Tuesday's matches. If you head over to Lacoste, you'll need to show your stub from yesterday. That's because many fans had purchased tix for Tuesday, when Roddick had been on the lineup -- at least, until the schedule got switched around. But! All is not lost for non-Tuesday-ticket-bearing tennis fans! Roddick's also been Tweeting when and with whom he's practicing, so fans can come out and watch. Get more details and insider tips -- like where tennis champs have been spending their downtime while in D.C. -- here.